Dark under eye circles, also known as "bags", are caused by broken blood vessels within the lower eyelid. A shadow forms underneath the bag causing the dark circles to appear. Red, Infrared Therapy and LED light therapy have proven effective at reducing puffiness around the eyes. They trigger the body to produce new skin cells and collagen causing the skin around the eye to become noticeably smoother. Blue Light Therapy can also be of help with dark circles under the eyes. Blue Light Therapy increases cellular activity in skin. It increases elastin proteins, which your skin uses to fight the signs of aging. 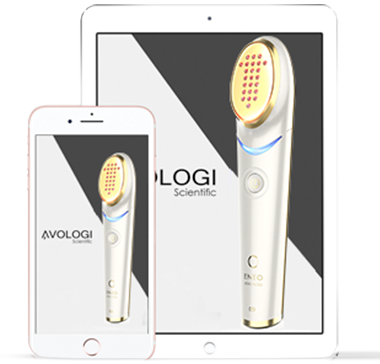 Avologi's medical devices light-based treatments reduce the appearance of periorbital puffiness. The Eneo collection uses a combination of blue light therapy and red light therapy. Avologi's medical devices are FDA cleared, non invasive and effective starting the first treatment.